Toralv Østvang, a 67 year old man was found ‘bloody and unconscious’ on his bathroom floor by Norwegian emergency personnel. Østvang was wearing the Apple Watch at the time when he apparently went to the bathroom in the middle of the night and fainted. The Apple Watch’s fall detection app alerted emergency services when there was no response after a minute. This is how the Apple Watch’s fall detection app works: fall monitoring sensors in the watchband track and record the user’s movements and notate the user’s gait and if the wearer’s gait becomes unsteady, it will contact the wearer to ask if the they are ok. If after minute the wearer does not respond by tapping on a deactivating button, a signal is sent to alert emergency services and gives them the wearer’s location. The deactivating button is necessary to avoid false alarms. Should a user drop his watch accidentally, a minute gives them enough time to deactivate the signal. SOS and select the fall detection feature. 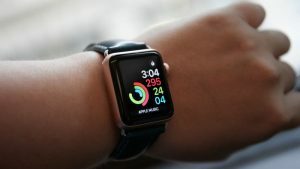 The Apple Watch, however, should not be used as a medical device even though it comes with the fall detection feature and the electrocardiogram (ECG) test feature. The ECG feature was cleared in December of 2018 by the Food and Drug Administration (FDA) and is featured in the latest Apple Watch 4. This is how the ECG monitoring app works in the Apple Watch 4: it uses sensors in the wristband to monitor a wearer’s heartbeat and if heartbeats get too fast or too slow it sends an alert to the wearer. This feature though is specifically designed to monitor atrial fibrillation. All the wearer has to do is put his finger on the face of their apple Watch. The wearer’s heart beat can be detected in 30 seconds and also how they are feeling at the time – winded, lightheaded or energetic. This allows for better discussion with their health care provider regarding their symptoms and heart patterns. Atrial fibrillation is the forerunner to strokes because the abnormal rhythm can cause a blood clot. whichs can lead to a stroke. Eric Topol, a cardiologist at the Scripps Research Institute, says that even though the FDA has cleared this feature for the Apple Watch 4’s device for anyone 22 or older, it really should be used for people older than 50 because it’s very rare for anyone younger than 50 to experience atrial fibrillation. Also a distinction should be made between ‘cleared’ and ‘approved.’ There has not been enough tests for the FDA to give its stamp of approval as yet. In the future consumers can look forward to more apps to be developed for the tracking and monitoring of vital signs like blood sugar levels to help prevent serious medical emergencies. This is the next big frontier for wearable health technology products for the future.